Creative people have notoriously active imaginations, but Chuck Ryder's is a different story. He is haunted by disturbing visions which reveal the true nature of the people around him. He knows what it means to know too much, and seeing the face of evil at a young age has affected his adulthood. Creative people have notoriously active imaginations, but Chuck Ryder's is a different story. He is haunted by disturbing visions which reveal the true nature of the people around him. He knows what it means to know too much, and seeing the face of evil at a young age has affected his adulthood. Protected only by his craft and the subtle manipulations of his enigmatic (and unwanted) benefactor, Derek, Chuck has managed to maintain a facsimile of a normal life for years. 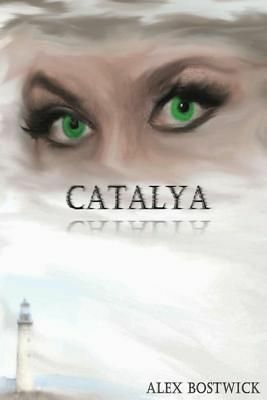 But then he meets Catalya, a strange woman who captivates him. As their relationship unfolds, he discovers that she has her own troubles; she Sees things too. When one of her visions reveals trouble for their friends, the two of them must choose whether to interfere with the machinations of Fate, or let destiny take its rightful course. When their decision ends in disaster, Chuck and Catalya must act swiftly to prevent further, far worse calamities, and answer the questions that have plagued him for years: who is Derek, and what are his plans for Chuck?